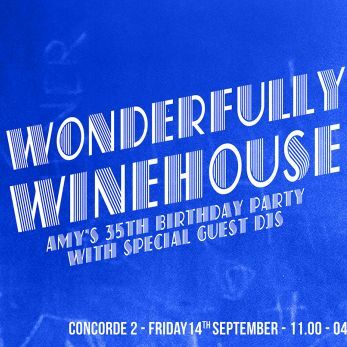 A night dedicated to all things Amy and her musical influences! Amy Winehouse was one of the most charismatic and troubled pop figures of recent years. She captured the hearts and minds of many with her distinctive voice and lyrics that spoke of a maturity beyond her years. On what would have been her 35th birthday, the 14th of September, we come together to pay tribute to a character and a voice that lives on in the lives of many. Indisputably one of the most talented artists to break through in the 21st century it is with much pleasure that we bring you a night celebrating all things Amy.